Last week, 9-13 October, 2017, the 13th Joint European Summer School on Technology-enhanced Learning took place in Aveiro, Portugal (JTEL). 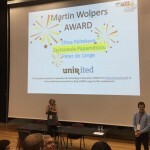 During the closing ceremony the winner of the Martin Wolpers Award for the research project of the most promising young researcher was announced and it went to Zacharoula Papamitsiou. The Award, supported by the Research Institute for Innovation & Technology in Education (UNIR iTED), will make her the opportunity to spend 700 EUR to present her work at an international conference or to participate in a relevant educational activity to further support the award to progress in her professional career. The other finalist were Elisa Peltekova and Peter de Lange. The JTEL summer school, organized by the European Association of Technology Enhanced Learning (EATEL), provides a stimulating learning environment where participants get opportunities to: develop research skills, increase their knowledge base, collaborate with others in their own and complementary research areas, engage in debate, have access to experts in the field, and discuss their own work. 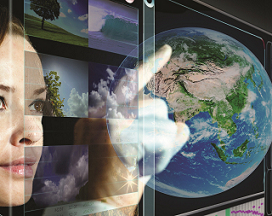 UNIR supports this summer school for promising research on Educational Technology since 2009. The programme covers topics from a broad range of domains which contribute to advancing the field of Technology Enhanced Learning (TEL). TEL research projects are encouraged to provide doctoral candidates with a perspective of the state-of-the-art research under study in their working groups. The programme will also include practical and methodological workshops as well as opportunities for PhD students to develop their personal research, discuss their doctoral work and build bridges for future collaborations experts in the field and peers across Europe.